Gather your crew and get down to the sound of Motown as some of Cornwall’s top Motown musicians come to Porthleven to play all your favourite hits. 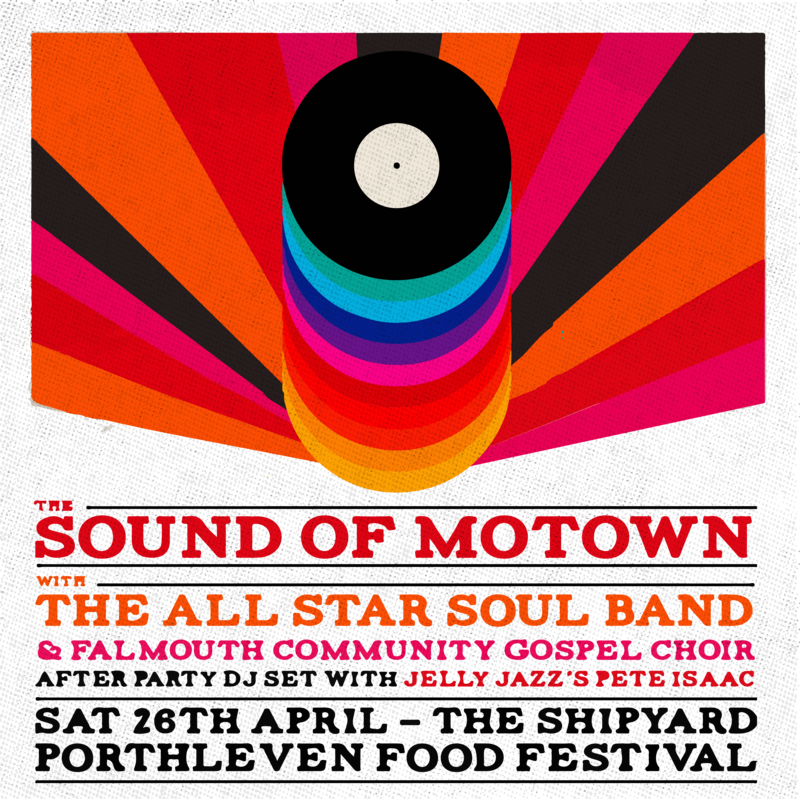 Saturday night brings our Festival theme party night and, as this year’s Festival theme is Love Food, we’re channelling a Summer of Love, sixties, and psychedelic vibe and bringing you a fabulous selection of Motown played by the All Star Soul Band and Falmouth Community Gospel Choir. Soul diva Liz Ashton, singer and manager of the Motown Pirateswill provide the vocals for the All Star Soul Band. 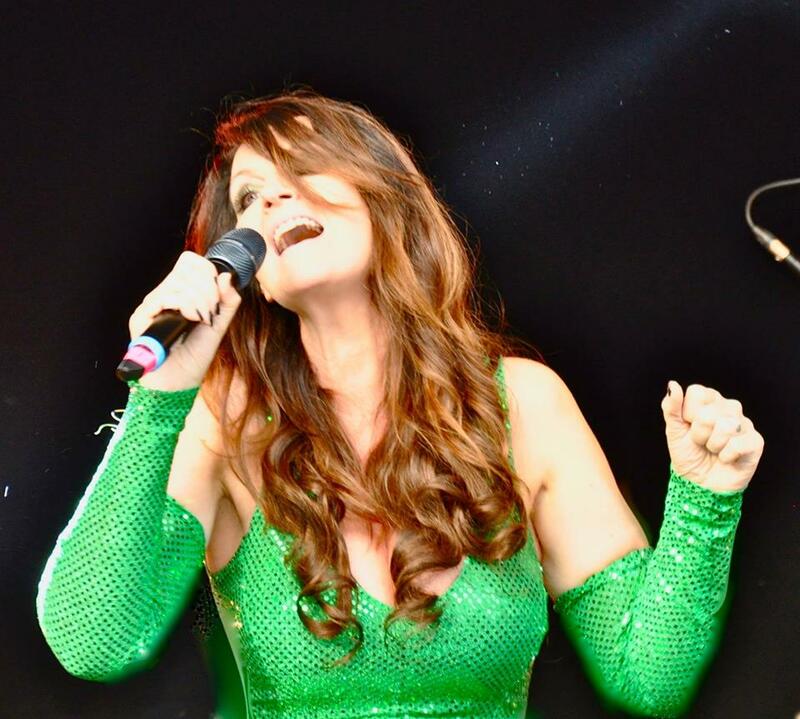 Her Festival and gig experiences in 2018 included supporting Steve Harley, UB40, Billy Ocean and The Stranglers as well as a top spot at the Eden Project. Falmouth Community Gospel Choir director Ley Adewole has appeared at the Food Festival numerous times with her band The Grace Notes. She’s also sung with Stevie Wonder, George Michael, The Beautiful South and Take That, and won Best Newcomer from the British Gospel Association. Musical director Richard Penrose is a pianist and hammond organist, has played with some of the UK’s top jazz musicians. Listening to this 60-strong choir is an inspiring boost for the mind, body and soul. And if that’s not enough we’re also bringing you a DJ Set from Pete Isaac of Jelly Jazz – the undisputed grand daddy of the funk and jazz scene in the South West of England. Expect a happy dancefloor with a soundtrack of jazz, soul, funk, afrobeat, latin, ska, and reggae cut up and mixed with all their modern derivatives in hip-hop, breakbeat, house and drum and bass. Saturday evening tickets are now on sale for £14 for adults and £7 for children (under 12s go free). Or you can get in free to all our evening events with our Gourmet wristband.